Graduate Education Is A Mess. Can Universities Fix It? Colleges and universities in the United States remain among the most prestigious institutions of higher education in the world. But, concerned about rising costs and the job prospects of young men and women with undergraduate degrees, Americans these days tend to view education as more of a business proposition. As a result, conversations on the broader value of a liberal arts degree have been overshadowed. Furthermore, an awareness of the shortcomings of graduate education, especially in PhD programs, and its implications for higher education as well as for American society in general have been entirely absent in these conversations. Graduate programs are, of course, essential to colleges and universities: they produce today’s teaching assistants and tomorrow’s instructors and researchers. But, although admission and enrollment in some doctoral programs are increasing (health sciences, engineering, education, social and behavioral sciences, biological and agricultural sciences), the dropout rate across all program is about 50%. The fact is that doctoral students today are spending more and more time getting their degrees (nearly 30% of PhDs take at least seven years to finish; the median for humanists is nine years) and, in the process, accumulating debt. At the same time, tenure-track jobs are getting fewer and fewer. In 1975, tenure-track and tenured professors were responsible for a majority of the classroom teaching in colleges and universities. By 2005, adjuncts and other “temps” had become a “fixture” in higher education with “regular” faculty doing only one-third of the teaching. That figure has now dropped to below 25%, and is going down even further. 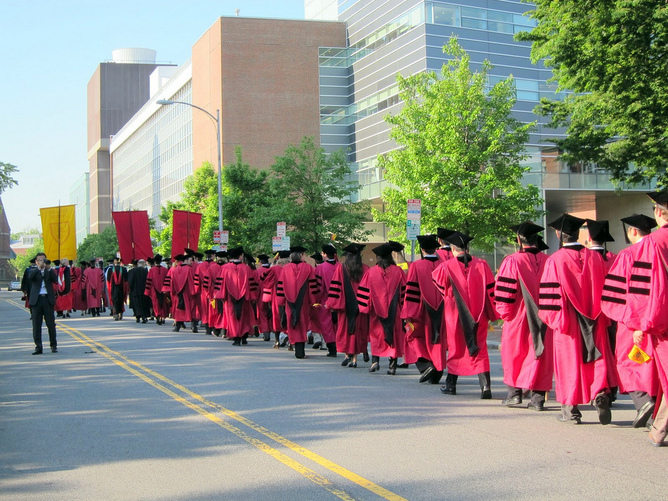 Graduate schools, however, have been slow to address such problematic prospects of PhDs. And this “institutional disorder on a grand scale,” is what Leonard Cassuto, a professor of English at Fordham University, calls attention to in his recent book, The Graduate School Mess. Why shouldn’t universities fix the problem? Cassuto reminds us that universities produce both the supply and the demand of the academic job market. So, they can – and should – assume greater responsibility for achieving better outcomes. They have an obligation, as Cassuto argues, to change the curriculum and dissertation requirements to accommodate graduate students who will not actively seek – or get – positions at research universities. Research institutions, whose faculty sometimes assume that their PhD candidates “would rather repair dishwashers” than take a job at a community college, he writes, should instead teach their students how to teach. Although not easy in an age of specialization, faculty should try to provide instruction in other practical, transferable skills relevant to, for example, careers in the public humanities, public relations, advertising or marketing. They should also be willing to offer alternative careers workshops as well as supply prospective doctoral students with information about the academic and nonacademic first-job placements of recent degree recipients. From my own perspective of over a quarter of a century as a professor and university administrator, Cassuto’s recommendations make a lot of sense. I believe that most of them deserve to be implemented right away. However, they will not solve the problem of supply and demand within institutions of higher education. Addressing this problem head-on will require major structural changes in colleges and universities that without doubt will be highly controversial. Doctoral programs in many disciplines at many institutions may be forced to accept fewer students. Some doctoral programs may be shuttered. Scaling back, however, will mean that someone else will have to do the work graduate students now do as teaching assistants and research assistants. Reducing the number of graduate students at a time in which universities are financially strapped might result in greater teaching loads for tenure and tenure-track professors or result in the hiring of more adjunct faculty. It could also mean offering more online courses to undergraduates. None of these options is likely to sit well with faculty. To make room for the next generation of teachers and scholars, institutions may also try to find ways to induce more senior faculty to retire (mandatory retirement ended in 1994 in the wake of concerns about age discrimination). At Cornell, where I teach, for example, well over 100 professors over the age of 70 remain on the payroll. Proposals to limit the number of years an individual can retain tenure have not gotten traction at Cornell or elsewhere. Committed to innovation in their own work and in their own fields, professors (and, for that matter, senior administrators) are often wedded to the status quo in their own institutions. The status quo, however, is not a viable option. the current practice of graduate teaching essentially retails expired passports. Colleges and universities must work collaboratively to formulate approaches to admitting and training PhDs and to hiring adjunct professors, lecturers, and tenured and tenure-track faculty. Of course, their approaches must be financially responsible and appropriate to 21st-century realities, but it is important that they be based primarily on academic considerations. The task is all the more urgent because of the budget cuts in public institutions, the prospect of diminished support for research by federal agencies and an uncertain economy. All this, as Cassuto indicates, will almost certainly make the next 10 years more challenging than the last three decades. By Glenn Altschuler, Thomas and Dorothy Litwin Professor of American Studies and Dean of the School of Continuing Education and Summer Sessions , Cornell University. This article was originally published on The Conversation. Read the original article.